Walker’s (Romar Jones Takes a Hike, 2012, etc.) Depression-era novel offers a microcosm of small-town 1930s America. The tale opens in November 1932 as the citizens of Burke Bay, on the banks of Washington state’s Puget Sound, prepare to celebrate Thanksgiving. Seeking work and a chance to cash in on the area’s lucrative distilleries, a dapper Farley Price arrives in his fancy automobile with his timid wife, Eleanor, and their young daughter, Hannah. They’re soon welcomed by the well-respected Helmer and Ebbe Persson, who hire Farley to harvest turkeys. But when Price’s violent drunkenness and underhanded business plans threaten the community’s stability, Burke Bay residents rally to protect Eleanor and Hannah. 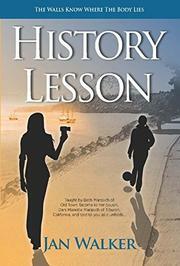 Several subplots add dimension to the main story, including schoolteacher Maeva Swanson’s rocky relationship with longtime beau Axel Jenson as she bucks tradition and asserts her independence. Third-generation distiller Orval Blevins, in particular, is a truly memorable character; Walker deftly reveals his story as Blevins struggles to balance his desire to continue his family’s traditional livelihood with his wife’s demands that he adjust to the post-Prohibition marketplace and devise a suitable business for their son, Theodore, to inherit. A quirky pair of bachelor brothers, Hauk and Lang Nordlund, around whom two love triangles develop, help bring the story to its resolution. The close-knit Scandinavian community of Burke Bay could be nearly any ethnic enclave facing the challenges of prolonged unemployment, economic uncertainty, and intergenerational conflict and acculturation. But Walker’s characters and keen observations bring the town alive, leaving readers with a deep understanding of the people and the challenges they faced during a tumultuous era. The author also intriguingly shows how the production and consumption of alcohol influences individual people, families and the community at large. A solidly researched, artfully written novel that’s both entertaining and educational.